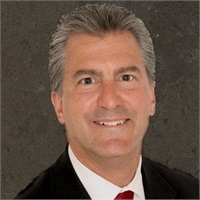 William M. Leeb | Financial Council, Inc.
Bill began his career in financial planning in 1982, joining his dad, Howard, who had already been actively engaged in the business for more than 25 years. Bill often shares the story about his early start with investing, adding portions of his allowance to mutual funds at the tender age of six. Together, Bill and his dad created Financial Council, Inc. (FCI) in 1988, and today Bill is the president of the firm. Bill graduated from Towson University, earning his degrees in economics and business administration with concentrations in finance and international business. He is a CERTIFIED FINANCIAL PLANNER™ Practitioner and a member of the Financial Planning Association. He serves as an adjunct faculty member of the Johns Hopkins University, where he frequently lectures on investment and financial planning issues to faculty and staff. As a registered principal of Commonwealth Financial Network, Bill is responsible for the supervision of all advisors at FCI. He holds FINRA Series 6, 7, 22, 24, 63, and 65 securities registrations as a Registered Representative and Investment Adviser Representative of Commonwealth Financial Network®, Member FINRA and a Registered Investment Adviser. He is also president and Chief Investment Officer of Financial Council Asset Management (FCAM), an SEC registered investment advisory firm. Bill enjoys traveling and spending free time with his wife, Karen, and their two children, Laura and Ryan. Though they enjoy all sorts of activities together, a particular joy for them is their Border Collie, Reagan and their Australian Shepherd, Koda.